Andrew Harper is a member of the Civil Team. 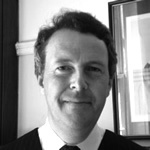 Andrew has a practice which encompasses all aspects of property work – conveyancing, land law, landlord and tenant (both residential and commercial), wills, probate and administration, Inheritance Act claims, trusts and settlements (including Charities) together with the associated capital taxation. In addition, he has many years of experience of mortgage lending and retail banking work, acting in the main for the lender/banker. He always seeks to accommodate the client’s commercial requirements in the context of the advice he gives. He is happy to attend solicitors’ offices for conference and is comfortable working to deadlines.